Because we feel Rachel Corrie’s story and message are so important, we have created “Rachel Corrie Cards” for people to distribute in their communities. We’re asking a small donation toward the printing costs, but will ship the cards to anyone who can help get them out to the public, with or without a donation. It will take all of us doing all we can to tell people the facts. Rachel, we won’t forget you. Rachel was killed when an Israeli soldier bulldozed her. She was trying to protect a family’s home in the Gaza Strip. There is a quiet battle going on for the memory of a young woman who could have been my daughter, or perhaps yours. On one side are those who would like to erase her from history; her actions, her beliefs, her murder. If they are unsuccessful at that, they will settle for posthumous slurs on her character, falsifications of her death. On the other side are those who feel her shining principles should be praised, her courage honored, her death grieved. On this side are those who believe that heroism is noble, bravery admirable, and compassion for others the most fundamental form of morality. 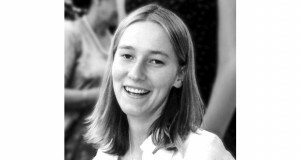 To those of us on this side, Rachel Corrie will never be forgotten. She was 23 when she was killed. We won’t forget her young idealism, her sweet bravery, her needless death. And we won’t forget her beliefs, the third of which killed her: that good would triumph, that justice would prevail, that Israeli forces would not kill her. She was wrong on that last one. On March 16, 2003, two Israeli soldiers drove a house-crushing bulldozer over her, twice, crushing her into the Gaza dirt. With five other nonviolent human rights defenders, Rachel had spent several hours in front of a family home in Palestine, pleading with Israeli soldiers not to demolish it. They didn’t (until later); they demolished her instead. Far more, of course, was broken. The day was broken, the universe was broken, her sister’s world was broken, her brother’s life was broken, her parents’ hearts were broken. All the things were broken that break when someone is killed. Since fall 2000, over 3,800 Palestinian lives, days, worlds have been broken; over 1,000 Israeli ones. We hear about the Israeli tragedies; we rarely hear about the many times more Palestinian ones; the mothers, fathers, daughters, sons, sisters and brothers who are killed and mutilated during all those wonderful periods of “relative calm” our news media lie to us about. 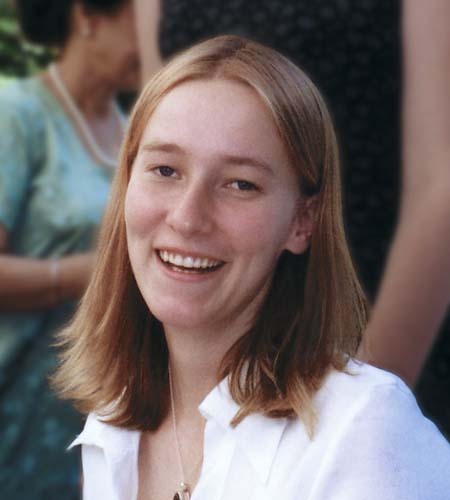 I wonder how much (if at all) we’ll hear about Rachel Corrie on March 16th, the anniversary of her death. Israel, as with all those it kills, claims that her death “was an accident” or “was necessary for security” or that “she was a terrorist” or that “she was protecting terrorists”… As fast as these Israeli fabrications are refuted, new ones are produced. Never mind that they’re self-contradictory – our complicit media never question. Change is coming, however, and it is gathering momentum. Americans of every race, religion and ethnicity remember Rachel, and grieve her death. While Congress is intimidated into denying her parents’ right to an investigation of the American “ally” who murdered their daughter, people in towns throughout the country are planning commemorations and future actions. One by one, people are rising up. We are reclaiming our nation, our principles, and our souls. We won’t forget Rachel. And we won’t be stopped.